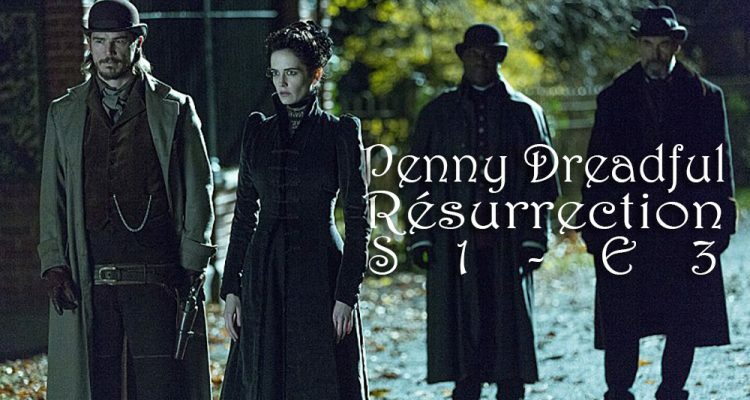 Resurrection is the third episode of the first season of Penny Dreadful. I suppose it got its name from the long story about Frankensteins first creation. 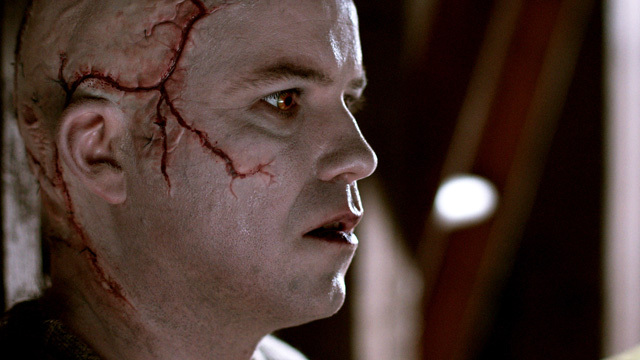 After he killed the new creation he went on to tell us how Frankenstein ran when he first brought this monster to life. It has since been his sole purpose to find Frankenstein again. He tells us he is immortal, but he gives us no explanation as to how he came to that conclusion (obviously the new creation wasn’t immortal). The first monster learned english by reading poetry. He headed to London, and got a job in the theater… I hope this all goes someplace because it seemed very unnecessary to me. We also learn through all of this that the first monster hunted Frankenstein down because he wants him to make a mate for our monstrous friend. We also learned, through a flashback, that Frankensteins mother died when he was young. This is what drove his obsession with life and death. All in all, this takes up a large chunk of the episode, and seemed very unnecessary. Hopefully it will pay off in later episodes, but at this point it was a bit useless and took away from the enjoyment of the show. Ethan and Brona have been enjoying themselves down by the docks. Born tells Ethan that she needs money for medicine, so he heads back to Malcolm for some extra work. Vanessa has a vision of Mina. She hears strange animal sounds inside Malcolm’s house and Mina appears to her asking for help. From this, Vanessa determined that Mina was being hidden at the zoo. Malcolm, Vanessa, Ethan and Sembene head to the zoo to see if they can find her. While at the zoo, The group becomes surrounded by wolves. 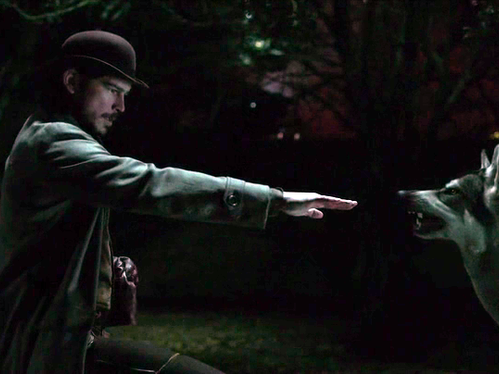 Ethan seems to have a connection with the wolves, and he diffuses the situation. When considering this scenes with the mysterious murders going around the town (and Ethan showing up afterward), and the “troubles” Ethan was having back in the states, it makes you wonder if Ethan is going to turn out to be the werewolf. After the wolves leave, the group manages to find Fenton. Fenton is a enfield type character who is some sort of servant to the vampire that the group is hunting. They take him prisoner, and call Frankenstein to help them torture some information out of him. Overall, this episode was better then the 2nd episode, but was still a far cry from the first. They seem to be spending most of their time setting up things for later in the season. This might be good for binge watchers, but for people like me, it makes me hesitant to watch another episode. This seems to be the trend in modern television. 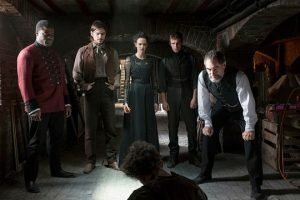 Shows like Deadwood pioneered the continuous storyline concept of television series that makes them into a stretched out version of a mini series. 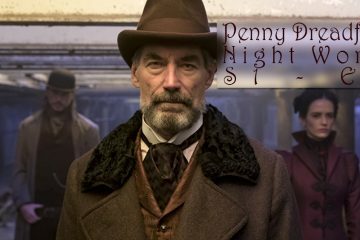 Unlike Deadwood, many of these shows count so much on people being sucked into the entire season that many of the individual episodes aren’t that good without the context of the rest of the season. 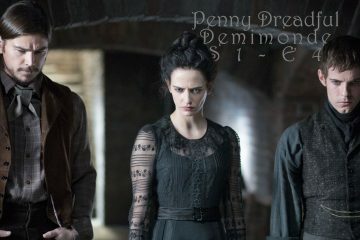 That can work when you already have everyone hooked, but Penny Dreadful has so far failed to hook me.